Such varied industries as food processing, cosmetic, medical, electronics, entertainment, household product, toy, athletic equipment, appliance, automotive, office supply and clothing manufacturing rely heavily upon this process. Thermoformed Products – Conlet Plastics, Inc.
Thermoforming is a process that packaging and shipping industries in particular rely on because of the inexpensive production of products such as blister packs, shrink wrap, bins and clamshells that house and protect other consumer products. Optimal for medium to large scale production, thermoforming allows manufacturers to produce a several uniform parts with a very fast turn around time, often a few seconds per part. To further accommodate industry, thermoforming processes can utilize are large number of thermoplastics. Acrylic, low density polyethylene, polypropylene, polystyrene, polyvinyl chloride, crystalline polyester, semi-gloss polymers and others are commonly used to produce parts of varied rigidity, moisture resistance and other such qualities. 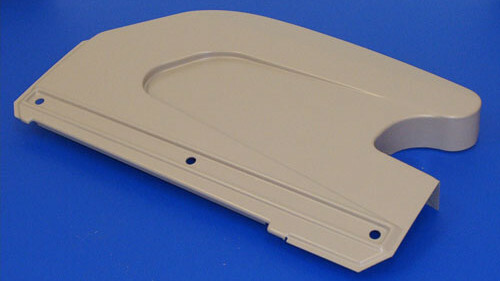 It is important to consider the intended use of a thermoformed part when selecting the most appropriate material base. Further considerations include thickness, machine dimensions, depth of draw, air pressure and clamping force. Thermoforming professionals can assist consumers in product design to ensure the proper machine, material and part are chosen. The thermoforming process follows several important steps. First, the thermoplastic sheet or film is fed into a heating device that uses electric, infrared or natural gas powered heaters to raise the temperature of the plastic. The duration and temperature of the heating process vary according to the differing properties of the polymers used. Once the material becomes soft and pliable, it is transferred to the form station. The sheet is stretched over a temperature-controlled surface referred to as a mold or buck. 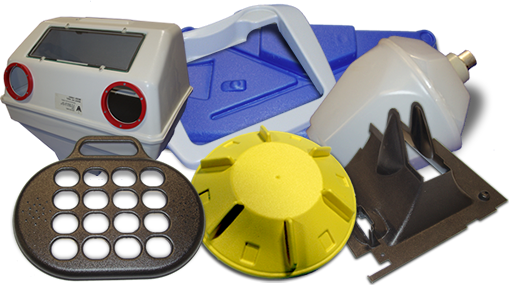 There are several different types of thermoforming that deviate slightly at this stage of processing. Vacuum forming is the most commonly used technique. This requires the application of negative air, or suction between the mold and the plastic, thereby pulling the two together for better adherence. Pressure forming operates in a similar manner but uses positive air flow for better adherence. This step offers the most precision forming and is used when detail is essential. Twin sheet thermoforming combines two sheets, sealing them together with a seam around the edge to create a single uniform part. Finally, drape forming produces parts with a gradual bend. When sufficient adherence is achieved, the part is dried, cooled and cured before being ejected and trimmed as needed via cutting, drilling, hand routing or CNC machining. If needed secondary processes are then performed. Printing and hot stamped are commonly used for product identification, labeling or marketing. Thermoforming Thermoforming is a relatively simple, but beneficial manufacturing process in which plastic materials are heated, stretched and cooled to form complete parts and components.